My education is in Mathematics and I am a qualified Computer Scientist. I am a recognized expert in all aspects of object-oriented programming and systems except OO databases. 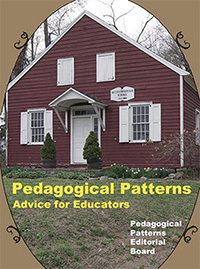 My special interests are in patterns of all kinds: Design, Organizational, and Pedagogical. I am a recognized expert in all aspects of Agile Software Development, especially Extreme Programming, and am a Certified ScrumMaster and an Agile Coach. Extreme Construction, the Movie. First shown at OOPSLA 2006 in the Onward! Film Festival. Available in Print from Amazon.com. Also for Kindle, and in ePub format for the iPad and Android devices. 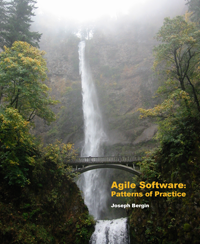 Agile Software: Patterns of Practice. Printed book, ePub, and Kindle formats. Some information about the book, including where to purchase it. both for traditional educators and industrial trainers. Learn more at my academic web site. 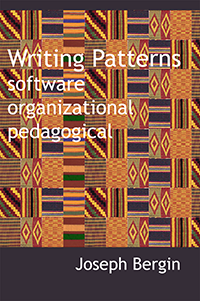 I have taught seminars introducing Patterns and Extreme Programming. My consulting and training is mostly in the United States, but I may be able to travel afar for short training courses, and have done. I am an author of several books and many papers. My academic web site is at Pace University. http://csis.pace.edu/~bergin. Give yourself an edge. Think different.